Bubbles and Foam | The best things in life are bubbly. Sometimes scrubs and cleansers just don’t seem tough enough to handle my acne and problem skin. Therefore, I recently decided I needed something stronger to help me: a medical spa-like acid peel. Acid peels don’t actually peel off visible layers of skin, like you might see happening on your back or on your shoulder after a bad sunburn heals. No, not at all. Instead, the acids simply dissolve the top few layers of dead skin cells, revealing fresh, vibrant new skin below that is ready to soak up your serum or moisturizer. A properly applied peel should not hurt you, although if you have sensitive skin, you should probably stay away from at-home peels altogether, and consult with a dermatologist before even considering a medical spa peel. In this case, I selected the Dr Song 20% Salicylic Acid Peel by Dr Song Medical. Dr. Song Medical generously gave me a free bottle to use as a sample, so I was able to try the product in different ways over several weeks. This peel is different from other acid peels on the market because of its high concentration of ance-fighting salicylic acid. Most bath and body products only contain 2% salicylic acid, and this is considered strong. 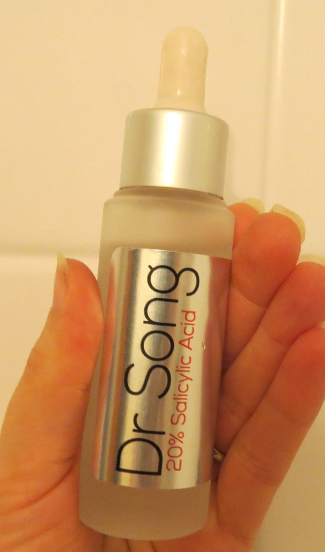 In contrast, this gel from Dr Song has 20% salicylic acid content, making it an acne destroyer extraordinaire. The first time I used this product, I applied a thin layer of the gel-like peel all over my face, taking care to avoid the eyes, mouth and nostrils. The peel smelled slightly medicinal, but not in an off-putting way. I started to feel my skin tingling almost immediately, so I followed the instructions and rinsed everything off using lukewarm water after only 60 seconds. My skin felt clean, but not tight, afterwards. I had wanted a little more softness, but I was still pleased with the fresh, sanitized feeling. The next time I used the peel, I kept it on my face for 120 seconds. The glass-tipped applicator made it easy to spread the gel without getting it into my eyes or mouth. At 120 seconds, the tingling was intense, so I rinsed everything off before “tingly” became “searing pain.” Once again, I liked the clean, healthy feeling of my skin after the peel, but I did not see major differences–yet. The next morning, I noticed one of my burgeoning zits had shrunk, dried and ceased looking red and angry like it had looked the night before. Success! The peel halted a bout of acne in its tracks before my forehead got taken over by ginormous red bumps. A few days later, I applied the Dr Song peel as a spot treatment for acne only. I used a specialized, narrow-tipped swab from the beauty store (the kind you usually use to apply eyeliner and cosmetics), dabbed my acne spots precisely without spreading the gel anywhere else and waited 120 seconds. The gel tingled as expected, and after the two minutes were over, I rinsed off the peel and examined my forehead in a magnifying mirror. (TMI warning: The next sentence about my acne might be too much information for some, so proceed with caution from here.) To my great excitement, my acne spots had little white heads on them now, indicating the top layers of oils and dead skin cells that had clogged my pores had been removed, allowing impurities to exit my skin. I am always excited when a bath and body product shows evidence it is actually working, and this was clear enough evidence to me that the product was helping. The next day, my acne had shrunk, dried and calmed down completely. I still had a little healing to do, but a massive outbreak was avoided. In conclusion, this peel is effective as a spot treatment to conquer acne quickly–a major benefit, especially if you have a party or a wedding coming up and need instant help without visiting the doctor for a cortisone shot. As a general weekly acid peel, I think Dr Song 20% Salicylic Acid Peel does what it is intended to do: it thoroughly sloughs off dead skin cells, oils and debris, leaving your skin feeling clean and re-set. You won’t see an instant visual result, but your skin texture will prove the product worked. You can use this peel if you have normal or oily skin. Sensitive skin types should avoid all peel products. I will definitely use this product again. Seaweed is known for its anti-inflammatory, moisturizing and detoxifying properties, so it used in a variety of skincare and hair care products, including acne-fighting formulations. 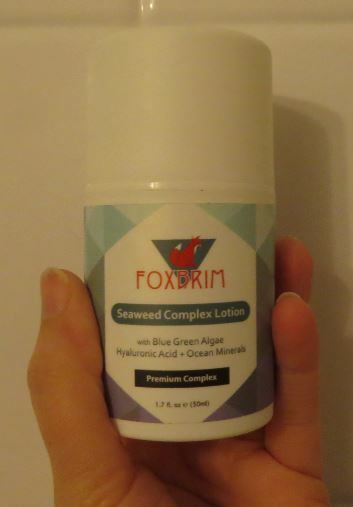 If you are new to the benefits of seaweed and would like to try it out, a good place to start is with Foxbrim Seaweed Complex Lotion, which can be used on both the face and the body. Foxbrim’s seaweed lotion contains other natural ingredients that are powerful hydrators, yet lightweight in texture: safflower oil, aloe and jojoba oil. Green tea is also included to brighten, clear and invigorate the skin. 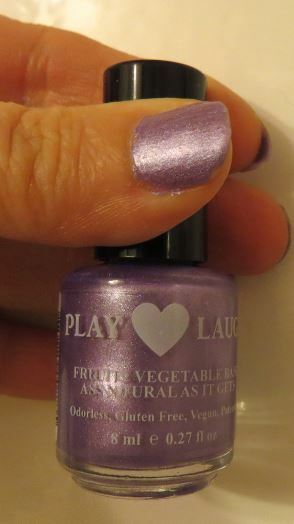 Another benefit of this lotion is no animal testing is ever used in its production, and it is Made in the USA. The container has a pump dispenser mechanism and a small nozzle, so you can carefully control how much lotion you use each time without worrying about spills. I was provided a free container of this product in exchange for my honest review. As many readers of this blog already know, I am a fan of the Adovia line of skincare, bath and body products, all of which are incredibly effective and contain luxurious Dead Sea salts and minerals from Israel. 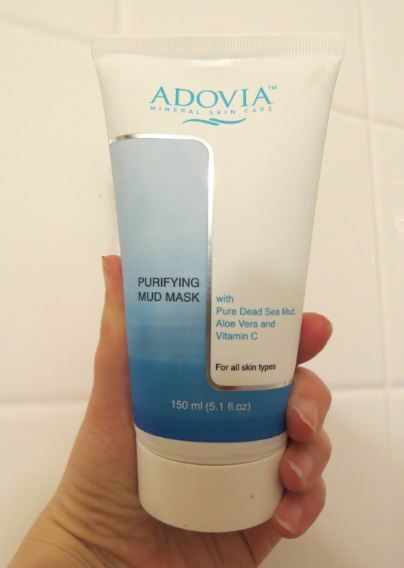 For a limited time, you can get $10 off the Adovia Purifying Mud Mask, which uses smooth Dead Sea mud to help wick dirt and oil out of your pores, by ordering at the Cleopatra’s Choice website and using the coupon code “BubblesandFoam” at checkout. When I started using this mask, I was battling an unusual bout of adult acne and facial oiliness. I eagerly slathered on Adovia’s mask, which felt smooth, silky and cool upon application. 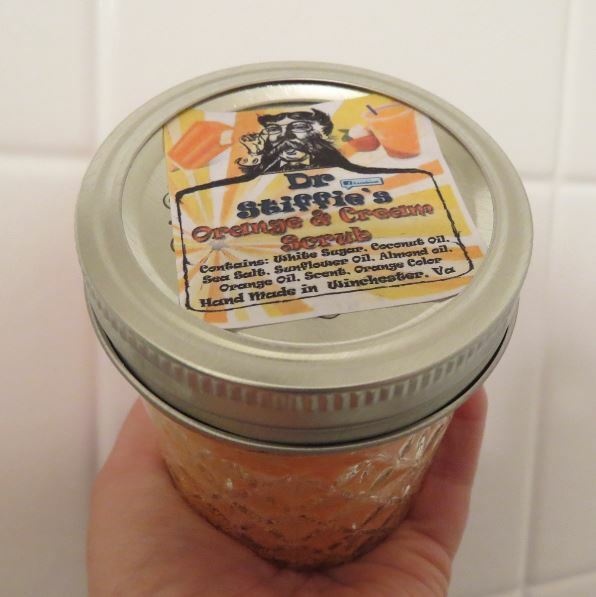 After a few moments, my face began to tingle, but this never caused any irritation or redness. As the mask dried on my face, the color changed from a dark, almost black tone of gray to a smoky light gray, indicating it was time to rinse off with warm water. Although there was a slight scent to the mud, it was very mild, barely detectable and not unpleasant. The mask rinsed off quickly and without difficulty with just a little bit of water, leaving my face feeling fresh, clean and devoid of oil. My skin was left soft and hydrated because the mask contains aloe, olive oil, jojoba oil, evening primrose oil, and other nurturing natural ingredients to prevent dryness. Over the next 24 hours, I noticed immediate improvement in my acne, which started to shrink and dry. The redness in my blemishes was measurably reduced as well. This redness reducing effect might be from the chamomile in the mask. All in all, this mask delivered on its promises and helped me to combat an unusually bad bout of oiliness and acne without drying out my skin. Adovia Purifying Mud Mask comes in a large tube, so you are guaranteed dozens of applications of the product. It can be used weekly, or more often if your skin is oily. 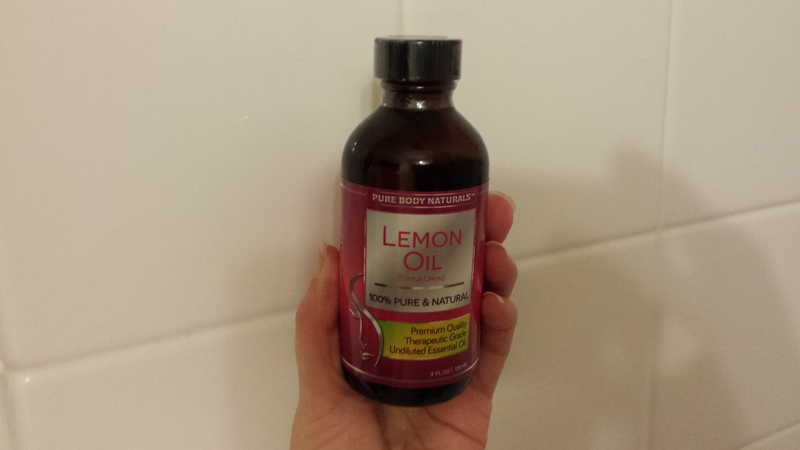 If you are new to the world of essential oils, cold pressed Lemon Oil from Pure Body Naturals is a great place to begin your experiments in creating homemade bath and body, grooming and cleaning products. As you can imagine, this lemon oil has a perky, zesty citrus scent that can be rather intense, and it is in a concentrated formulation. Therefore this lemon oil should almost always be used in diluted form to ensure you don’t experience any adverse or allergic reactions to it (and the citrus scent does not overpower you). You can simply mix this lemon oil with water and spritz it on your face as an antiseptic toner, or you can spritz it on your shower, sink and bathtub to help degrease, cleanse and deoderize those surfaces. I enjoyed mixing the lemon oil and water with some plain, unscented Dead Sea salts to create a custom homemade salt scrub. The flaky Dead Sea salts have a gentle texture as compared to table salt, and the lemon scent is divine. 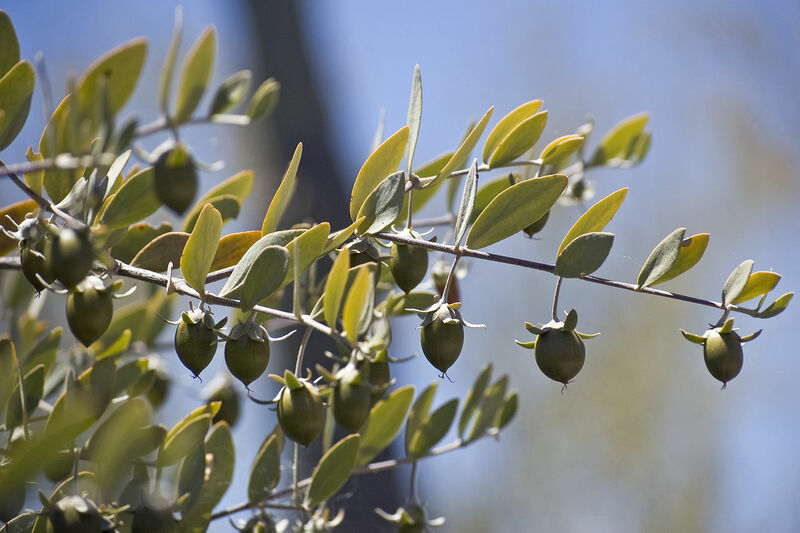 Pure Body Naturals notes you can add a few drops of lemon essential oil to jojoba oil to create a refreshing moisturizer. I have not tried this yet myself, but when I do, I will report the results back to you. 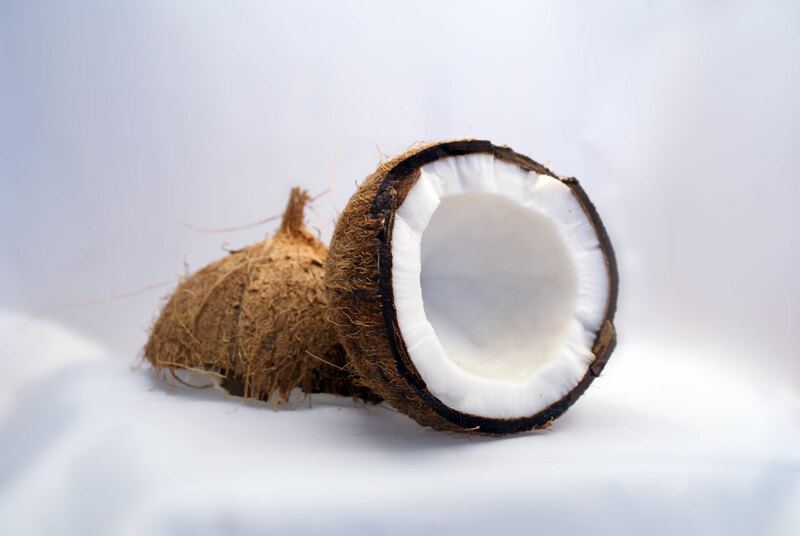 In general, this versatile, all natural product is a great additive to scrubs, lotions, cleaning products and more. The ample 4 ounce glass bottle will last a long time, because you usually will only need 1-3 drops of the oil at a time. 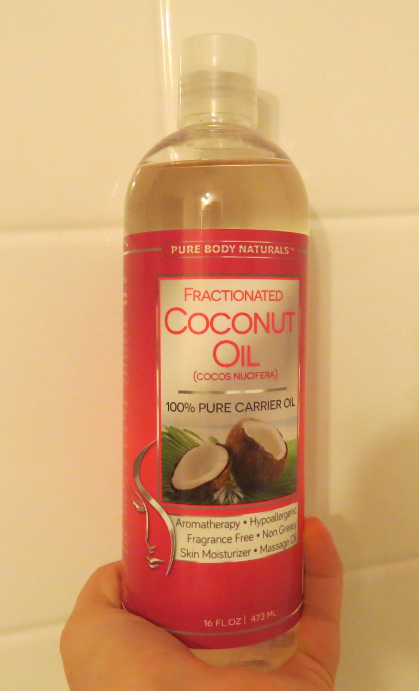 I received a free bottle of this product in exchange for an honest and unbiased review. 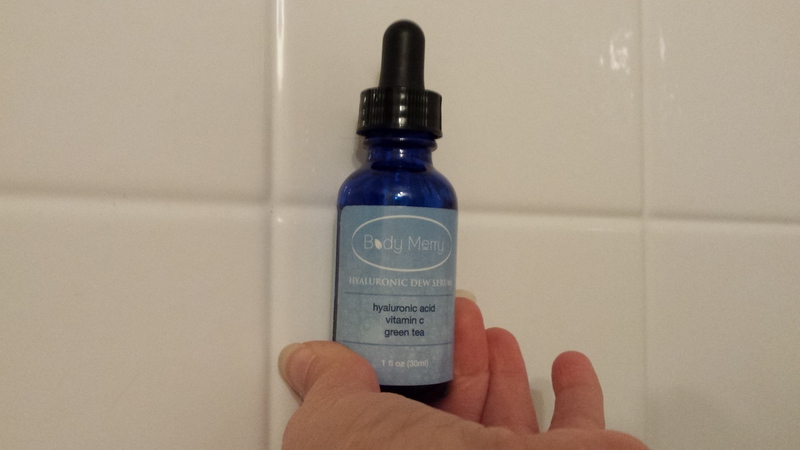 This gentle and non-irritating Body Merry Hyaluronic Acid Serum is a light, pleasant gel hydrator with a mildly herbal scent. It comes in a pretty blue glass bottle equipped with an eye dropper-style applicator (so you can control how much serum you dispense). The serum contains hyaluronic acid that is plant derived, meaning it is all natural and soothing to the skin. Green tea and antioxidants are also included in the formulation to help keep your facial skin bright and even toned. The serum sinks in quickly, so you can add other products on top without any fuss. As always, I am pleased when a product absorbs without leaving any oily or greasy residue behind, and this serum certainly delivers. Your skin will feel clean and dewy, not sticky or overpowered by product. I found this serum to be refreshing and moisturizing. My only quibble is the scent; I did not really like it. But others have commented that they enjoy it, so this element comes down to personal preference. The scent dissipates as the serum absorbs, so the serum does not perfume the skin or conflict with the scent of other facial products. All in all, this is a pleasant hydrator that helps maintain the overall condition of your skin while leaving you feeling fresh-faced.